I’ve shared a lot with you about my family road trip (and we have a couple more shoots from that-and they might be my favorite). This was an idea that we had on vacation, that didn’t come to pass, but I couldn’t resist creating it: Gone Fishing. 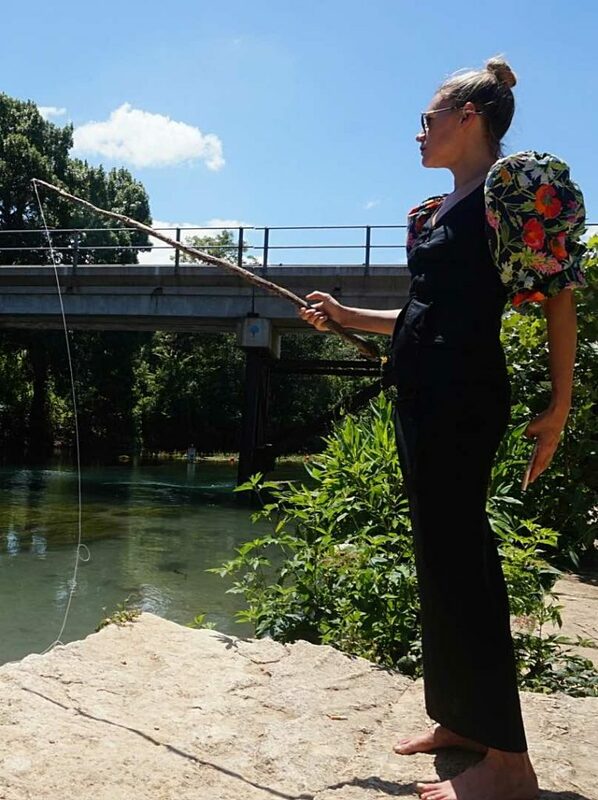 We know that I love juxatipositons, editorial shoots, and all things fashion in non-“fashion” settings, so it flows that a shoot in high end vintage of me fishing would be something I would love! Let’s be honest, fishing can be like shopping. 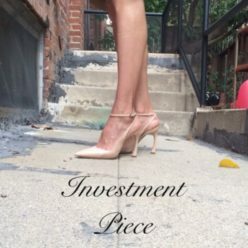 You have to plan (budget), set aside time (or go online), be patient, and hopefully you catch what you wanted! 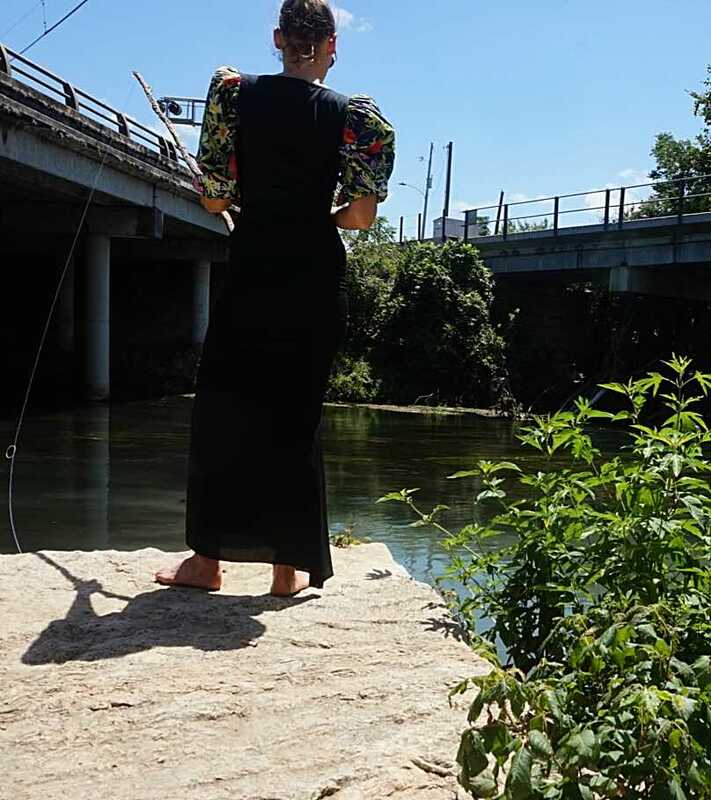 While the original plan was to shoot me in heels fly fishing, we couldn’t make that work in Colorado; so instead it was me, a fishing pole made out of stick and twine, and a river. Things didn’t go to plan, but the good news? I caught Gucci, so all’s well that ends well! Some notes: I spent the planning period of this shoot calling a fishing pole a fishing stick, maybe I should stick to shopping. Also: if you know of a lake/river/ocean where I can catch Gucci please let me know ASAP. As for fashion: I’m a firm believer that you can wear what you like where you like it; yes, I’m the woman high-fiving the kids in tutus in the grocery store. And this outfit! This top is vintage YSL (circa the 70s, early 80s). I love the puff sleeves and the lace up detail. I wear it with jeans, skirts, tuxedo pants, it’s the perfect boho glam piece. 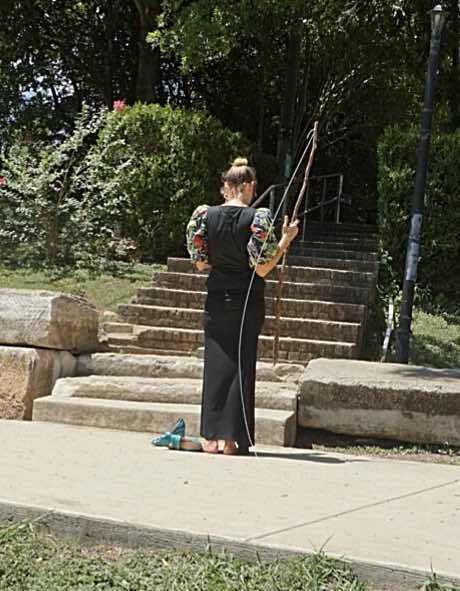 Every one needs a great black maxi skirt in their lives (if you don’t have one, I got you covered), and these shoes! Gucci. That color. That heel. I hope that you’re out catching whatever makes your heart happy! Shop my picks below!